Go to start » All Programs » Exchange to Office 365 Migration Tool. The First Windows of the software looks like as shown below. Click on Add File to add the EDB file. 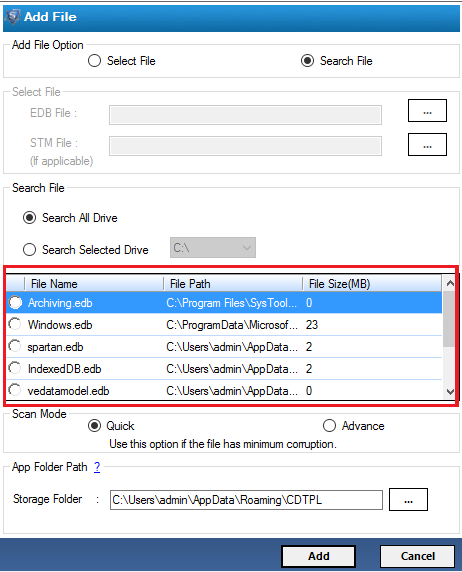 Note: If Priv.stm or Pub.stm on the same location then software automatically select the .stm file. 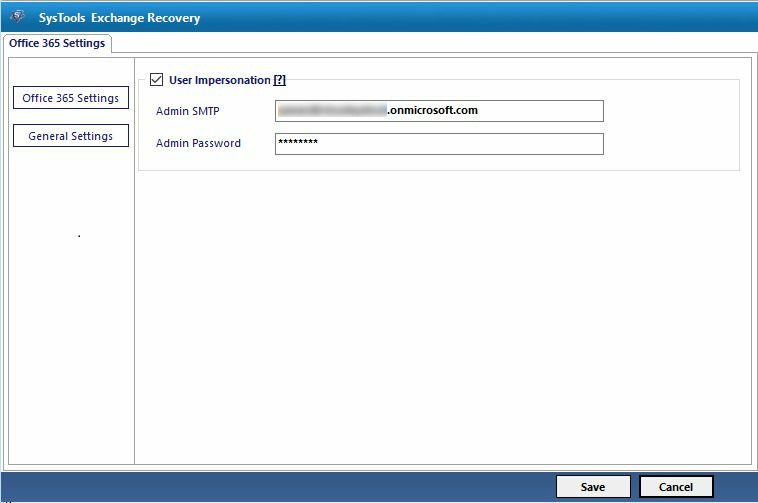 Otherwise you have to manually browse the STM file location and add if required. 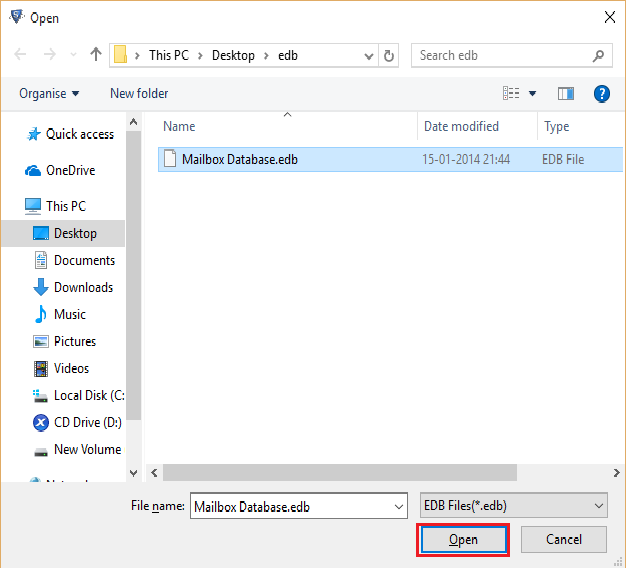 Browse the desired EDB file, select it and click on Open button. 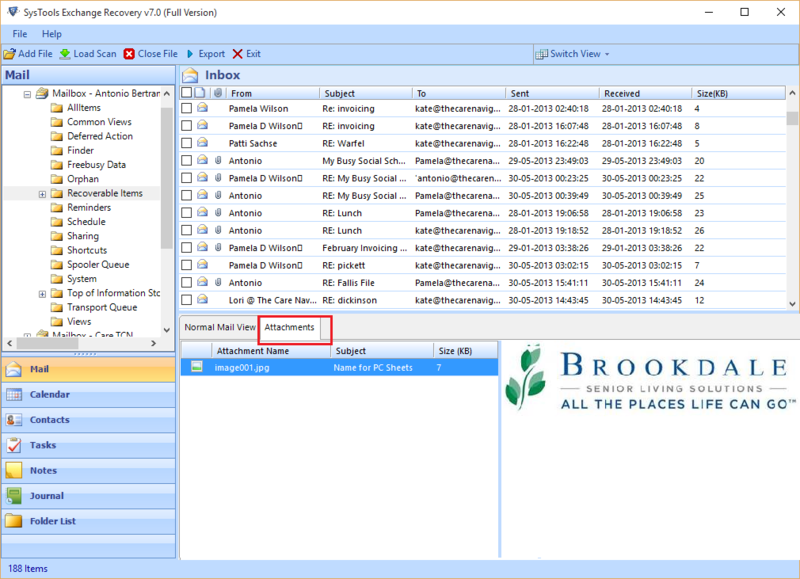 Search All Drive: To search the file from all the Drives. Then after click on Add file button to start the process. Now choose the .edb file and add the file for scanning. 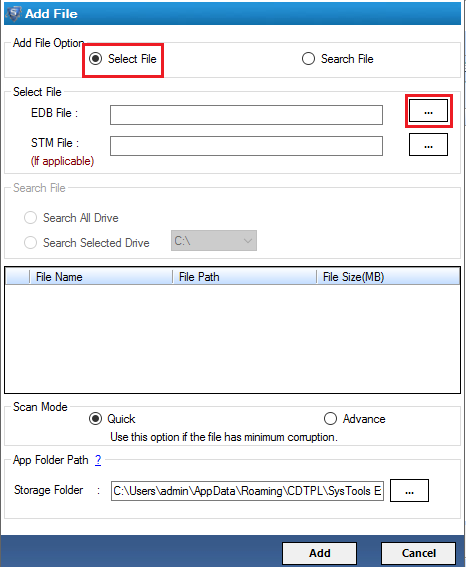 Next click Search option to search the .edb files. 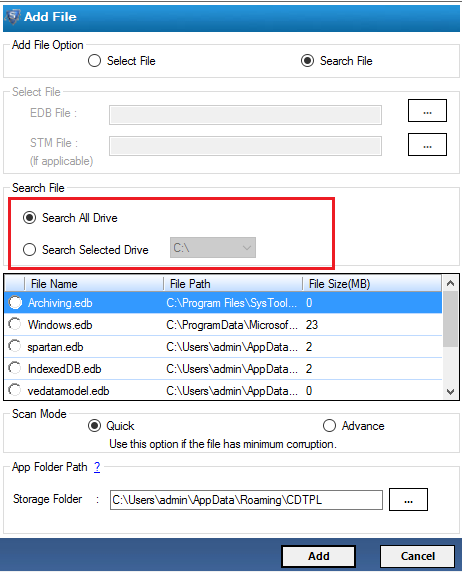 Advance Mode: If you are not able to view the data after using quick scan mode or if the .edb file is highly corrupted then use the Advance scan mode. As it is designed for deep data recovery task. This Software support Advance Scan on 64 bit OS also. Click on Add button to proceed further. As soon as the scanning process is completed a dialog box appears confirming success of the scanning process, the mailbox lists itself in the left panel itself. User can also save the scanned EDB file for further use. 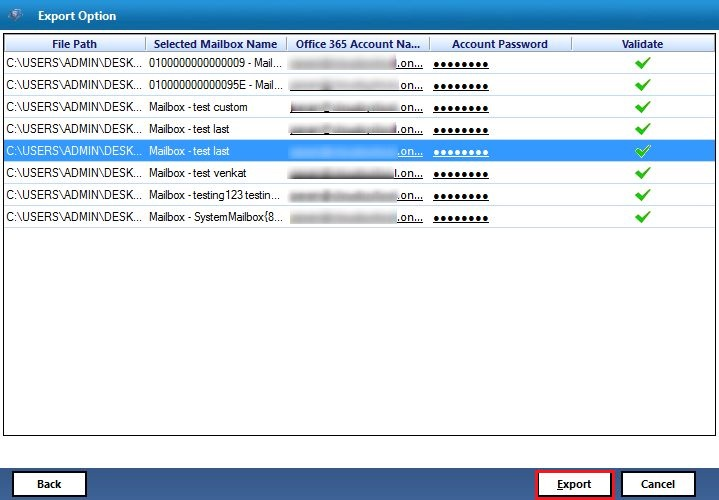 Expand mailbox items using the + option given near each mailboxes. Click on the desierd mailbox for which you want to view its content. 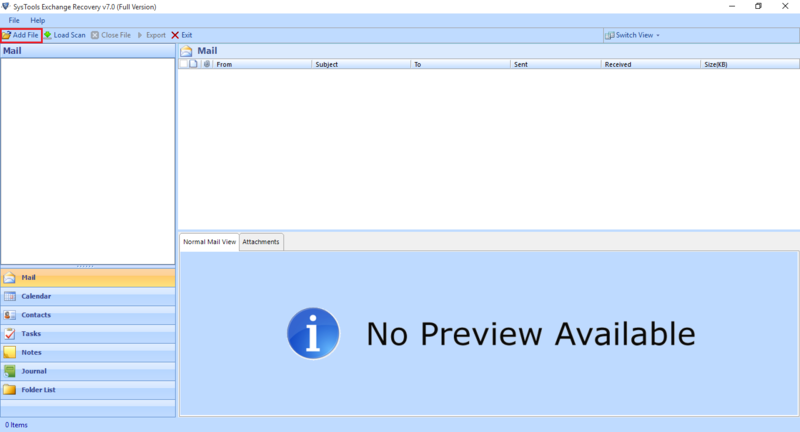 Normal Mail View : Select a particular Email to get a Normal Mail View of the e-mail data at the bottom pane. 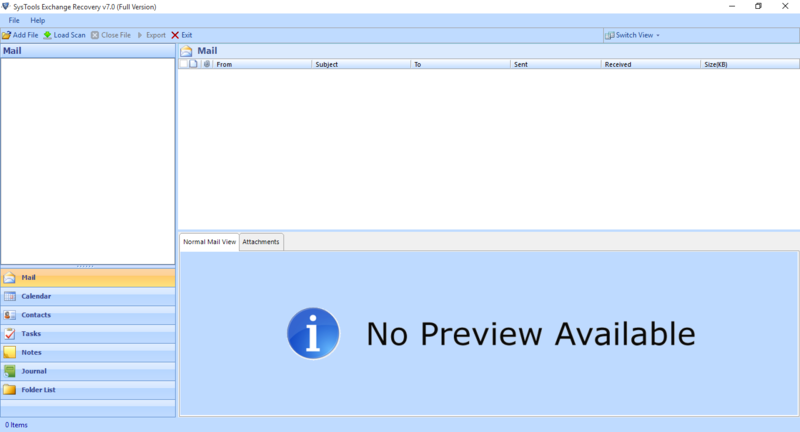 Attachments: Preview Attachments present inside a particular email by clicking on the Attachments tab. Click on Export button to export the edb files. Click on Office 365 radio button to import the EDB file to the office 365 mailbox. You need to configure "Office 365" settings. Click on Advanced Settings. Password: Provide the password for the admin account. Categories: This option allows users to select the desired mailbox items such as Mails, Contacts, Calendars, Tasks, Journals, & Notes. A dialog box will appear. It shows the successful status of the saved settings. Click on Ok button. To import EDB to Office 365. 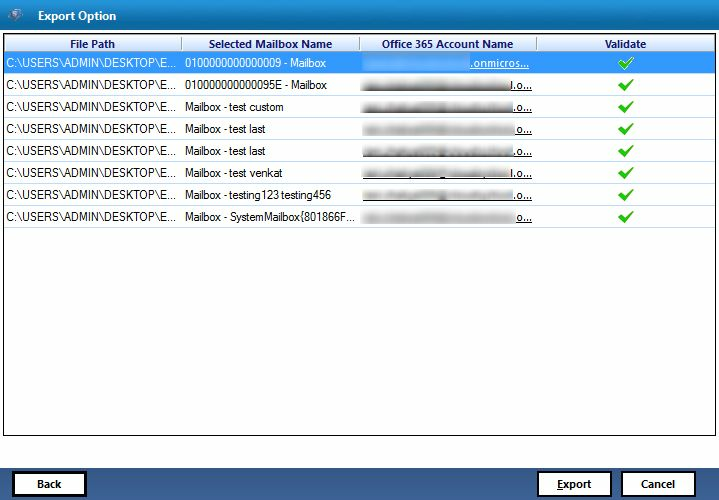 There are two ways for migrating/exporting maiboxes to Office 365. You can choose Enter Destination Mailbox option for migrating the EDB file to Office 365. Then click on Next button. 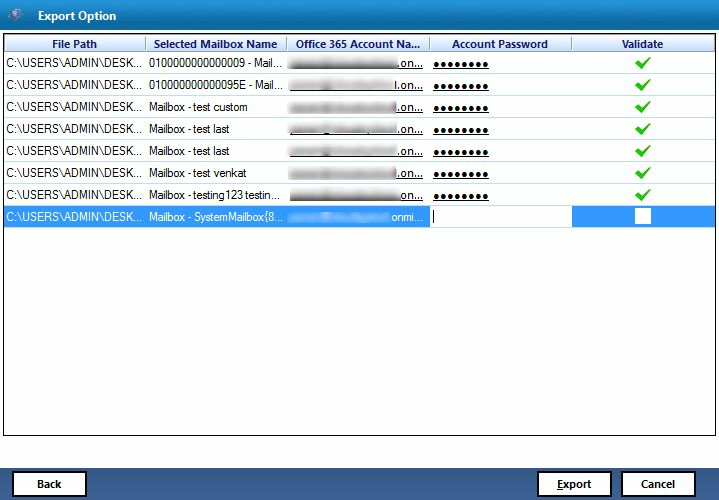 The software will prompt for Exchange mailbox name. 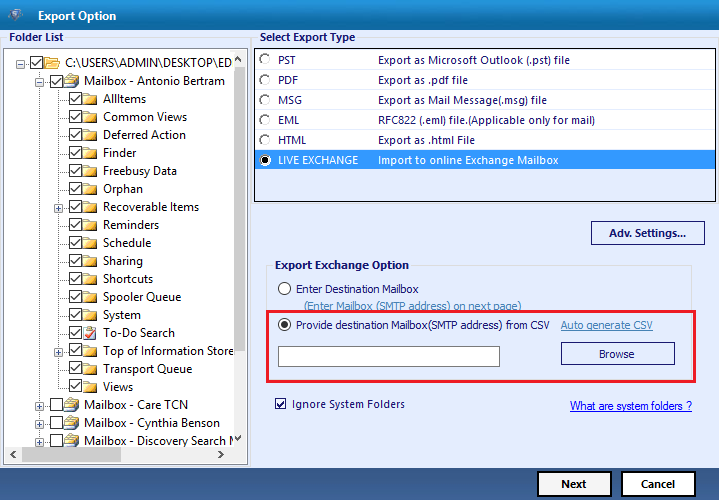 Provide the valid Exchange mailbox name as shown below. Now the mailbox will be validated. The Export process will start. The software shows the status of the exported file. The software will prompt the message for successful export of the files. 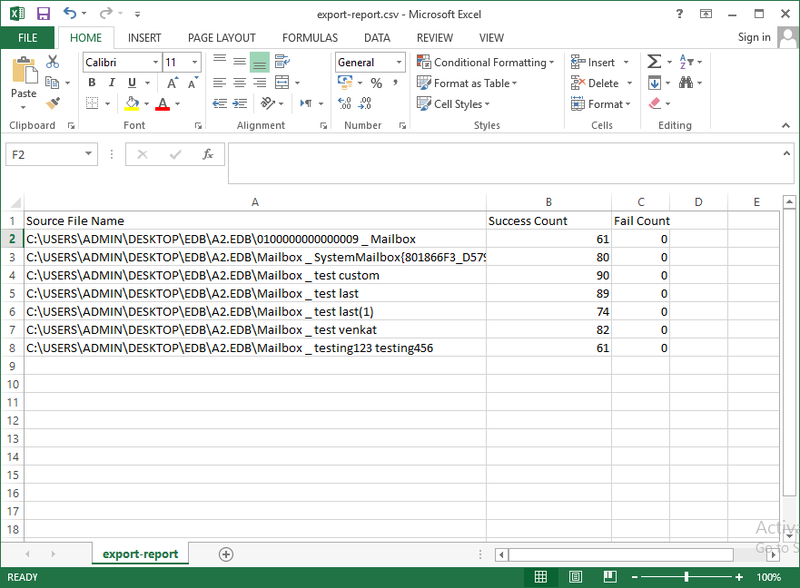 You can save the Export Report with Success and Fail Count of the file. Save the file in CSV (Comma Separated Values) file format to the desired location. Click on Save button. A dialog box appears. It will show the destination path of the saved Export Report. Click on Ok button. Now you can navigate to the above destination path and view the Export Report in MS Excel. Click on Office 365 radio button. Click on Advanced Settings. 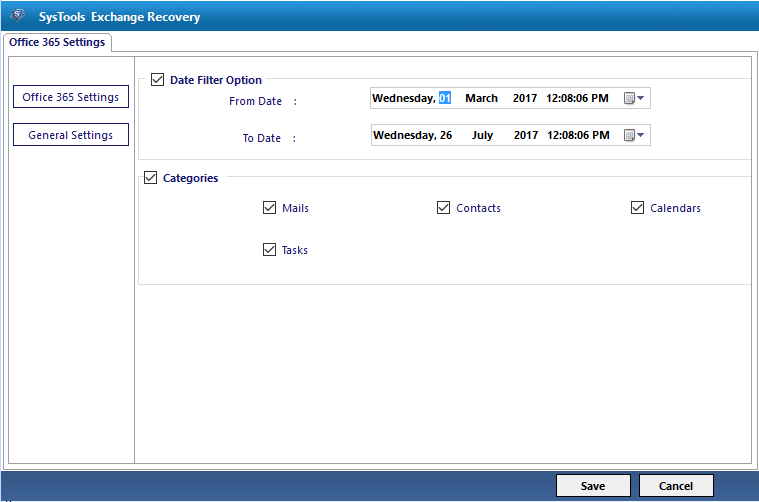 Date & Time Filter Option: Apply date & Time filter to set specific duration of Date & Time Range to retrieve desired mailbox items. Enter Destination Mailbox: You have enter the Valid id credentials on the next menu. Import CSV: This allows the user to add multiple id credentials to a CSV file. On this menu you can select the "Enter the Destination Mailbox" Radio button and click on "Next". On the next menu, Provide the valid id credentials including the username and the password. Now all the data will be validated immediately. A dialog box appears to notify successful completion of export process. Click on Ok button. 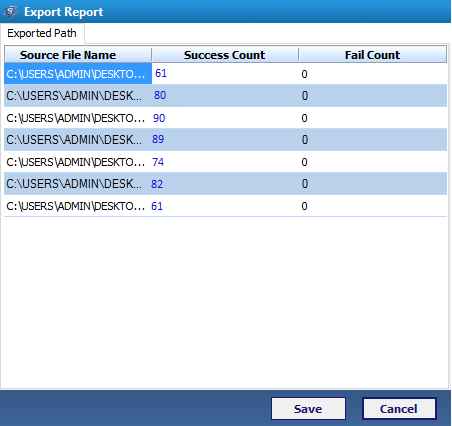 You can save Export Report with Success and Fail Count of the file. If you want to check the exported file, click on the number corresponding to the source file. 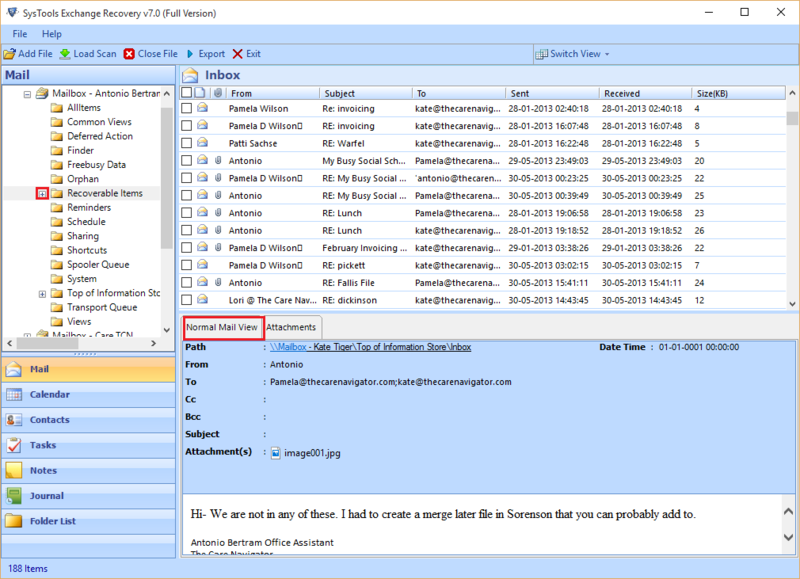 Save the file in CSV (Comma Separated Values) file format to the desired location..
A dialog box appears. It will show the destination path of the Export Report file. Click on OK button. 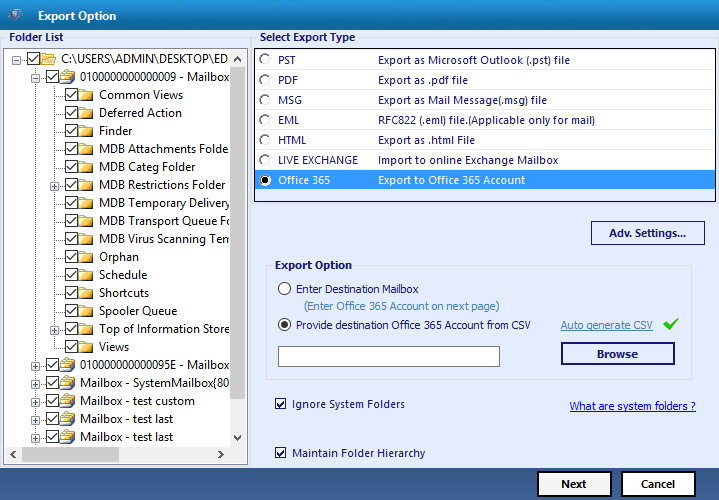 Now, The user can view all the exported data in the the destination mailbox provided.